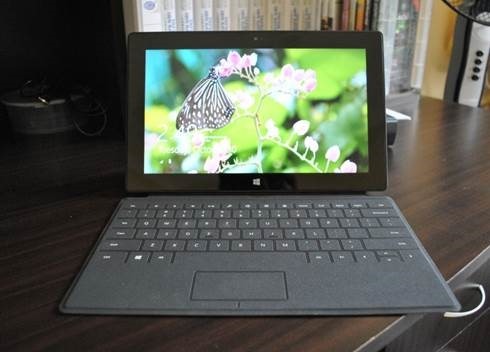 Received my 32GB Surface RT tablet yesterday. I had pre-ordered on the Microsoft store like everyone else and had Aramex ship it to me here in Qatar through their Shop and Ship service, as the device is not available locally yet. 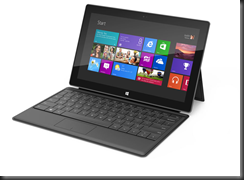 I am composing this post on Word 2013 that came pre-installed on the device. I must admit that even as an employee of Microsoft, this device has exceeded my own personal expectations! I will try to be honest in my review, although I must say that the device is mind-blowing as a whole. 1. Office – We all know without a shadow of doubt that Microsoft Office is the ultimate in productivity tools. 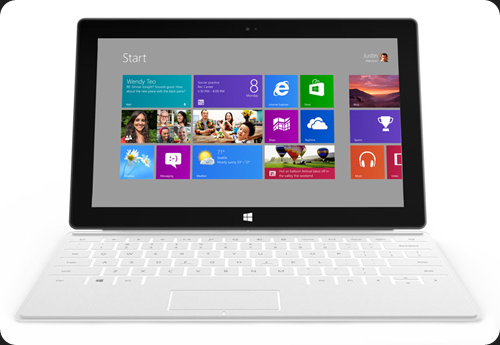 Office 2013 Home and Student Preview is built-in to the device. Once Office 2013 is released, Surface users will receive the released version as a Windows Update. Office 2013 is also cloud connected and lets you save/sync your documents with Skydrive so that your documents are accessible and updated if you are on your desktop or on your Surface device. 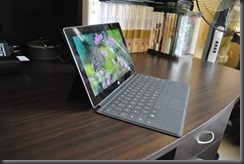 Although this is not an Office 2013 review, the inclusion of Office out of the box is a major plus compared to other tablets. 2. USB port – Self explanatory – What would you do without USB? This is a major plus. 3. 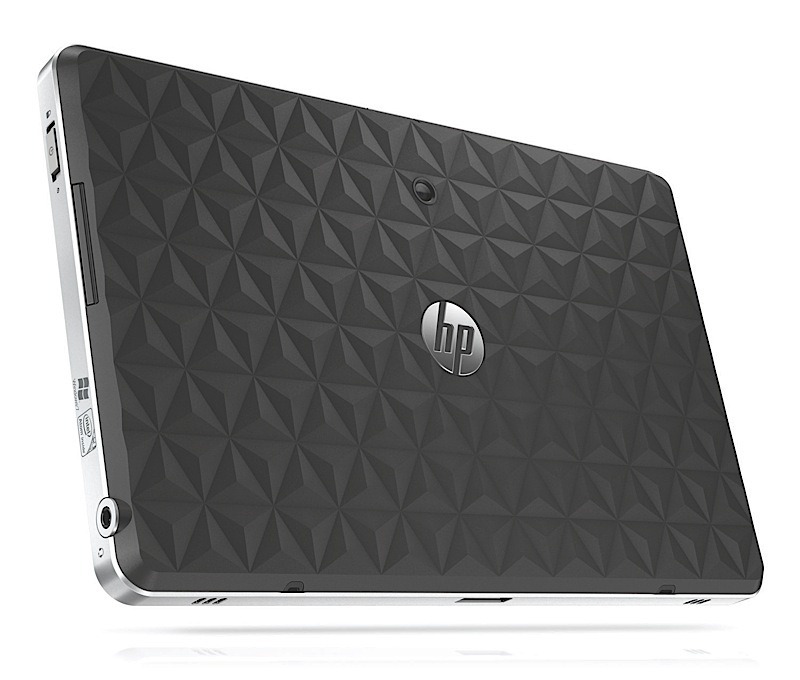 Expandable storage – Sure, they have 32GB and 64GB flavors of the Surface. However, there is micro SD card reader tucked away under the kickstand which lets you expand a 32GB tablet to 64GB or more. 4. 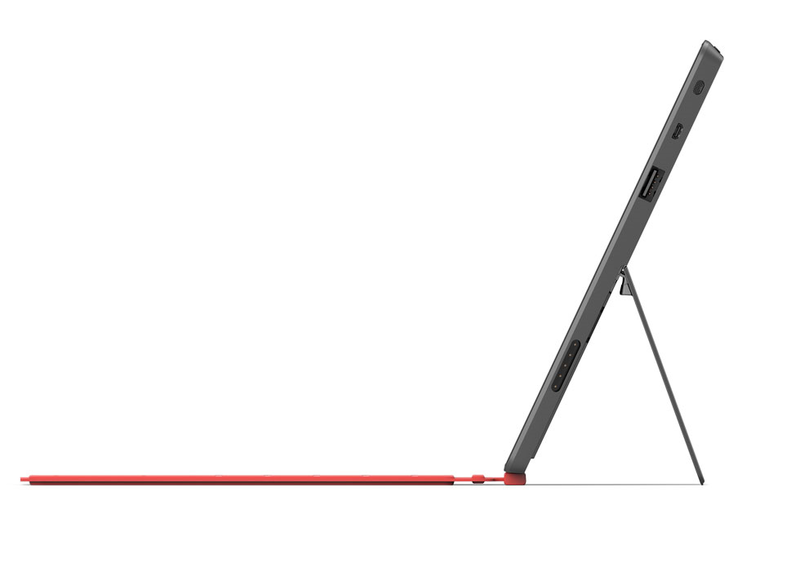 Kickstand – Speaking of Kickstand, this is a MAJOR feature. Think of all the awkward positions and tablet covers that you experimented with your current tablet. All that is gone now. 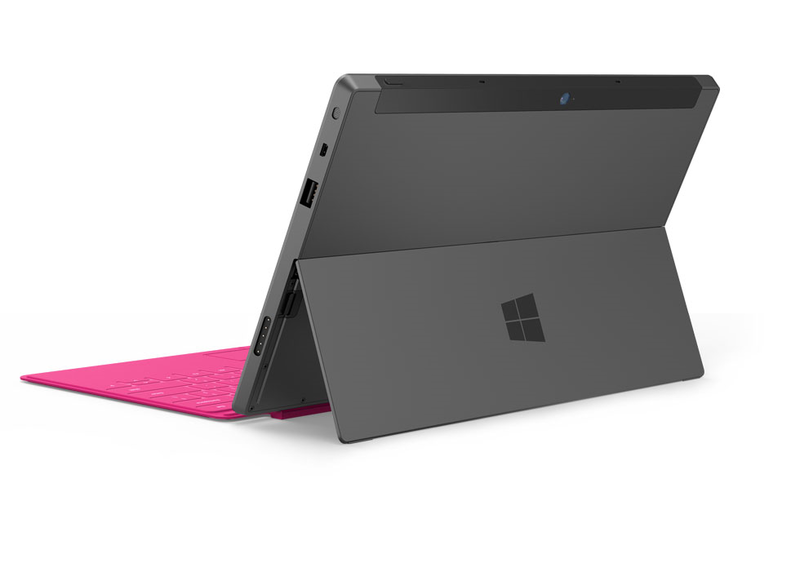 You simply flip open the kickstand and the Surface stands on your table or your lap. And when the kickstand is closed, you won’t even know it’s there! 5. VaporMg body – all that you read about VaporMg is not just hype – the material is light, strong and feels good to touch. 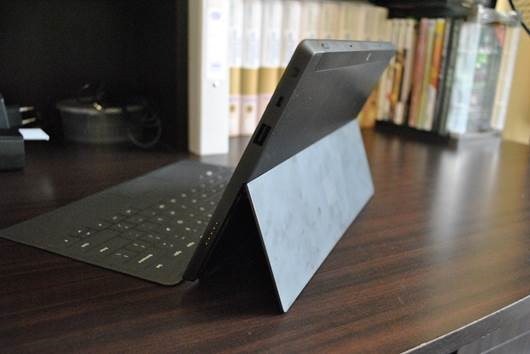 Next time you get to hold a surface try to feel the material that the back cover and kickstand are made of. Ok, the picture above shows smudge marks, but that’s what happens when you let your 3 year old play with the Fresh Paint app on it. 🙂 Below is a picture of the Surface without the Touch Cover, next to a Qatar half riyal coin for size. 6. Gorilla glass screen – During the launch they showed how they fixed wheels to the Surface and used it as a skateboard. Now that’s what I call strong. The screen can be read from almost any viewing angle. It has something to do with the bonding of the material used in manufacturing the screen, but it really is cool. The display is very clear. 7. 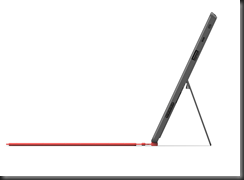 Drop proof – the device can be dropped in 72 different orientations without being damaged! No, I did not test this one myself, but judging from the look and feel of the device, I believe it. 8. 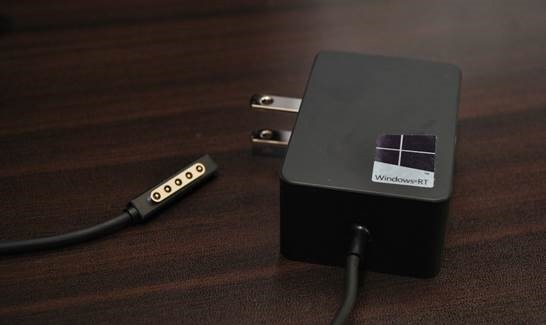 Slick charger – the charger is small and can be slipped into a side pocket of your bag, the charger connects to the device through a magnetic connector. The charger has folding pins and works in both 110V and 220-240V power outlets. 9. Touch Cover keyboard – this is a treat, a delight, a new height of awesomeness. I do not have enough words to describe it. 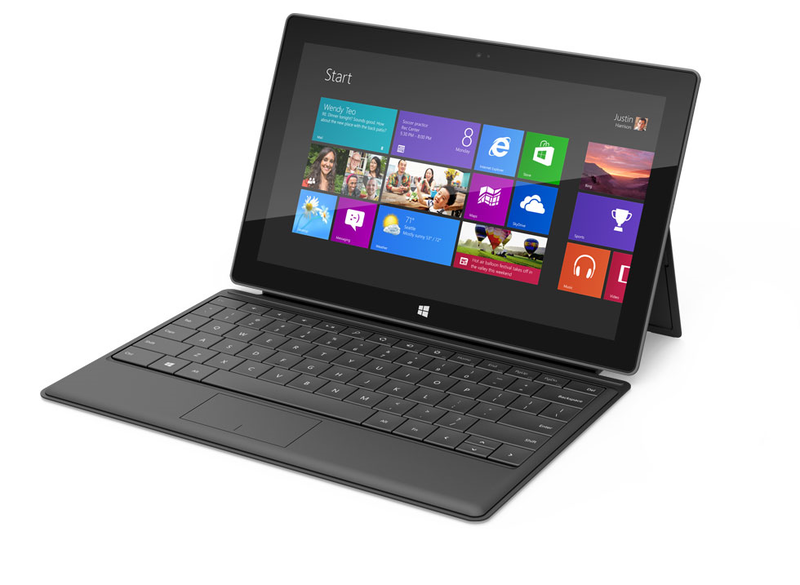 Just 3mm thick and doubles up as a screen cover and a keyboard with just the right sensitivity. It does not type when I don’t want it to, and I don’t have to push too hard to make it type. The touch cover snaps on the device with a magnetic link. You can literally hold just the cover and the device will hang without falling off. When you close the cover, the display turns off, saving power. Below is the Touch Cover next to a Qatar half riyal coin for size. 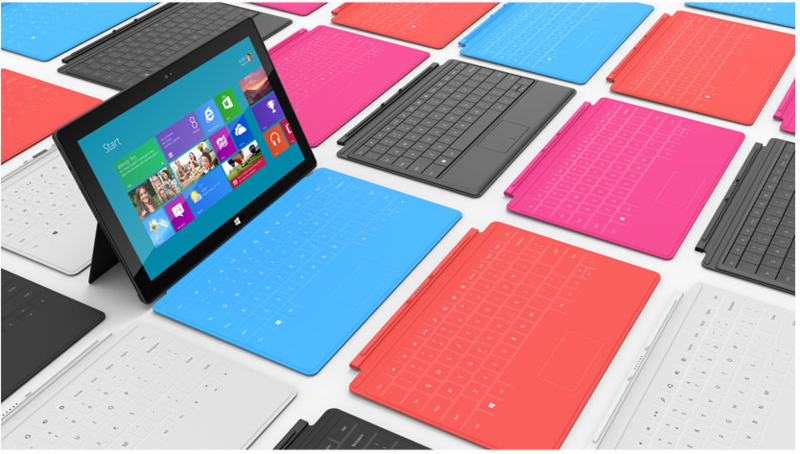 My advice – don’t order your Surface without it. 10. Handling – the weight is uniformly distributed. I am a Technology Solutions Professional by day, and a student by night. I spend time reading PDFs and watching flash videos, and it doesn’t hurt my hand a lot no matter how I hold. And of course, I still have the kickstand when I want to lay the device down. 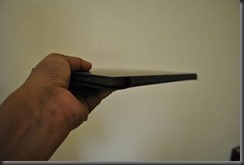 The thickness of Surface is exactly the same as an iPad. 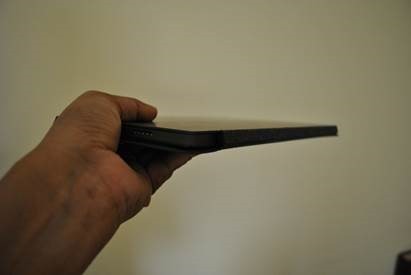 In the below picture, I show you the thickness with the touch cover on. 11. Unmatched driver support: Even if it is Windows RT, it is still Windows! I just plugged in my HP Deskjet 3050 printer to the USB port and the drivers were automatically installed and printer ready to use in under 2 minutes. 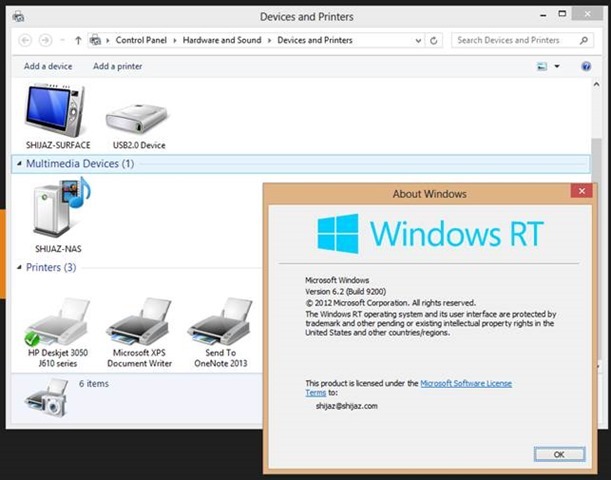 Windows RT supports 100% of the top selling printers out there. What is mobility if you can’t print anywhere, wherever you are? In addition to the printer, it automatically detected my Bluetooth mouse, Home NAS/media server, phone and some other devices, just like Windows 7 does. 12. Front and Rear cameras: Works great with Skype. I read somebody’s rant about the cameras online, but I found them perfectly OK. By the way, Skype for Windows 8 is available on the marketplace. Also noteworthy is that the rear camera is mounted at an angle so that the camera looks straight even if you use the kickstand. Tested it, works perfectly! 13. Cloud connected out of the box experience: My other computer is a Lenovo X220 running Windows 8 Enterprise. When I unboxed my Surface, it asked me a few questions to set my language and wireless connection. Next, I entered my Windows Live ID and password. The next thing I know, the device configured my device exactly the way my Lenovo was configured. Same wallpapers, same color scheme, etc. both my devices look exactly the same and I can work seamlessly on any of the devices, and sync my stuff over SkyDrive. 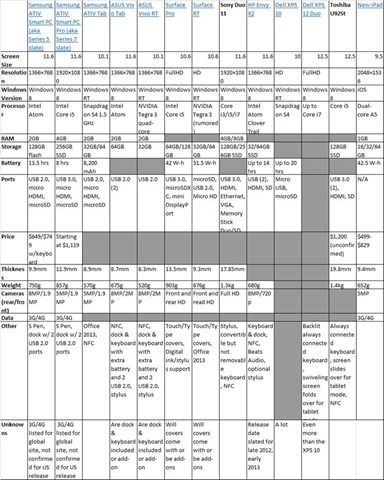 This, to me, is a true cloud connected experience, spanning different kinds of devices, different form factors, without compromise. 14. Apps – Yes, apps. Oh sure, Windows Store is new and doesn’t have as “many” apps as other stores, but I found all that I need for IM, Skype, and others. A foursquare app would be a cherry on top as far as I am concerned. Today when I browsed the app store, I found that it was localized with prices shown in Qatari Riyals and spotlight apps from my region (such as Al Jazeera). I also bought Angry Birds using my Qatari credit card, so no issues there. 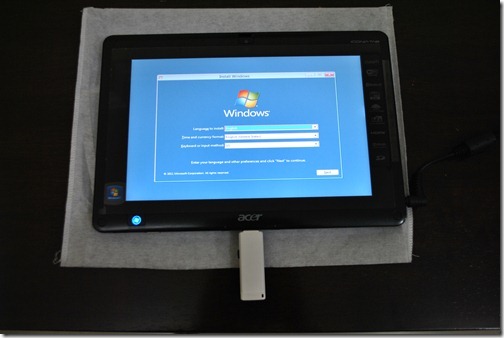 There is also a lot of rant going on in the internet about Surface RT not being able to run Windows 7 apps. So what’s the big deal? Can you run Macintosh apps on an iPad? In fact, the more you use Surface and the modern apps, the little you would want to go back to the old style apps. I seriously don’t want to go back to the old kind of apps on my touch device. By the way, there is another version of Surface (Surface Pro) that will ship with support for Windows 7 apps, but this will have a normal CPU that needs a fan, and will be thicker and possibly heavier. 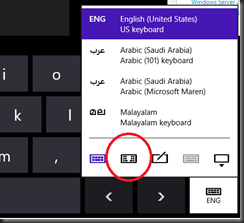 The Touch Cover keyboard has keys for opening the Search, Share, Devices and Settings icons on the Charm bar. 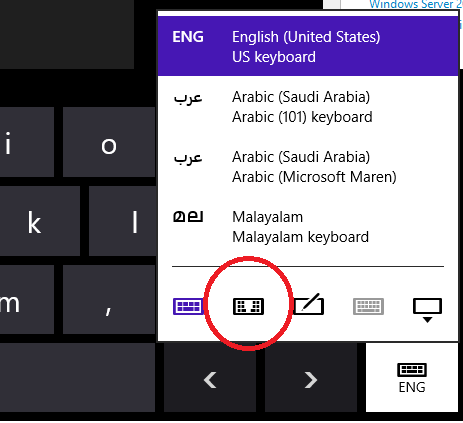 At first sight, the function buttons seem to be missing on the Touch Cover keyboard, replaced by volume, charm bar keys, etc. But when used with the Fn key, these keys become function keys. The integration with xbox is phenomenal. With SmartGlass you can use your Surface to watch videos on your xbox. 1. 3G SIM card slot, or lack thereof. Not a big deal for me – with multiple devices that people tend to carry today, I believe Mi-Fi is the way to go instead of getting a new SIM/connection for every device you have. 2. The charger power cord could be longer. 4. 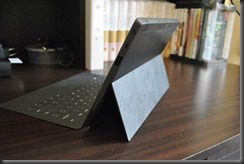 The black Touch Cover is not exactly black, it’s black on the inside and a shade of gray on the outside. But it doesn’t overshadow it’s coolness in any way. 5. Availability in more countries/markets. 6. Kickstand angle cannot be adjusted, although I think the kickstand is factory set at the most comfortable position. 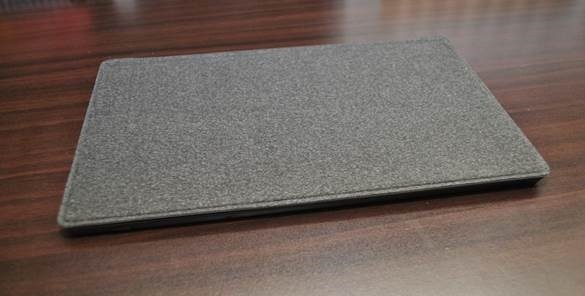 I am using the kickstand and touch cover to type this post right now and I am comfortable. 7. Lesser apps in the app store – although my opinion differs, see point no. 14 above. Besides, Windows is, and continues to be, the most popular OS for end users. It is just a matter of (a short) time before the Store is filled with apps from every noteworthy app-maker. This tablet is a game-changer, unique in its own way compared to other devices available today in the market. Windows 8 revolutionizes the way users interact with their devices, and brings consistency and seamlessness no matter what kind of device you use, by bringing your data, apps and everything you care about, wherever you go. 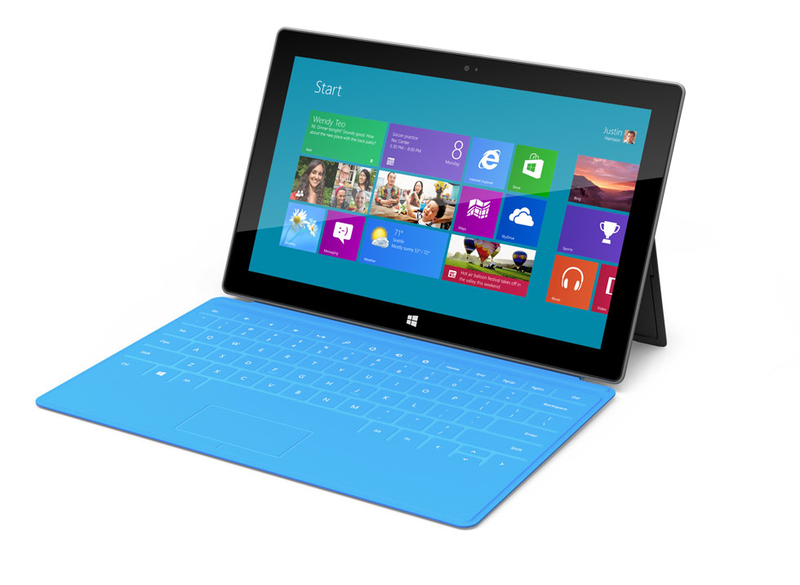 Microsoft yesterday announced Surface, a new family of PCs for Windows, at an event in Hollywood. 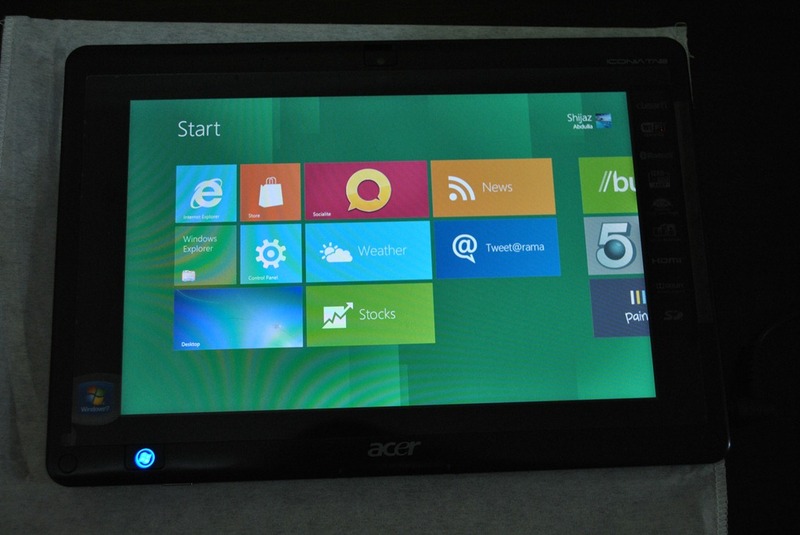 The Microsoft-made hardware will be available starting with the release of Windows 8 and Windows RT. 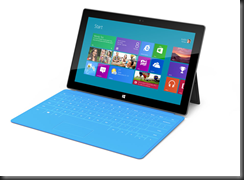 The devices were conceived, designed and engineered entirely by Microsoft employees. 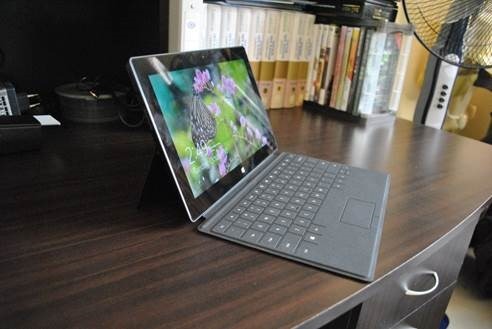 Two models of Surface will be available – one running an ARM processor featuring Windows RT and the other running a third generation Intel Core processor featuring Windows 8. With a full-sized USB port, and 16:9 aspect ratio for HD, it has edges angled at 22 degrees, making it comfortable to use and lets the software take center stage, without hardware getting in the way. The casing of Surface is created using a unique approach called VaporMg (pronounced Vapor-Mag), a combination of material selection and process to mold metal and deposit particles that creates a finish akin to a luxury watch. Starting with magnesium, parts can be molded as thin as .65 mm, thinner than the typical credit card, to create a product that is thin, light and rigid/strong. 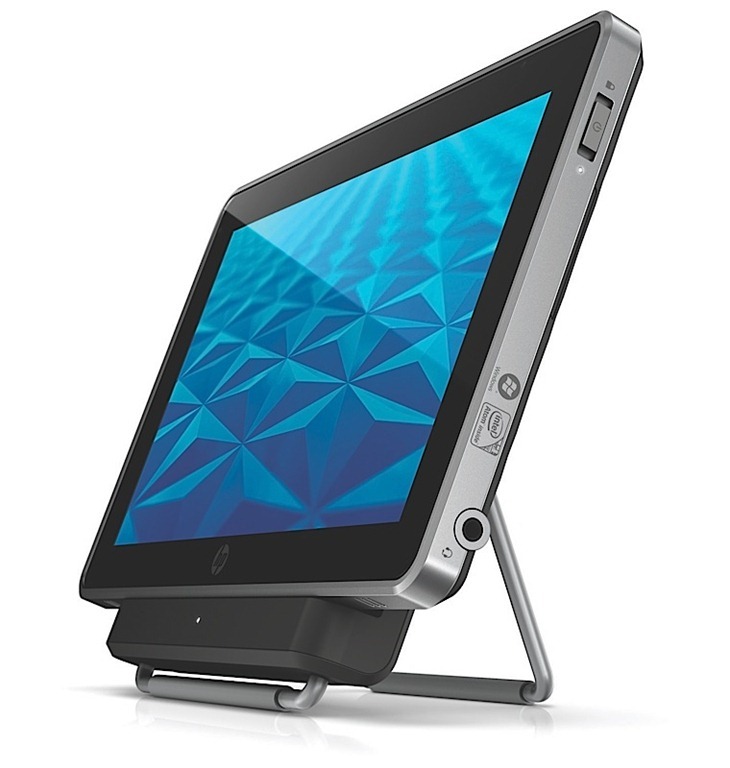 An integrated kickstand is always available for use whenever needed without adding to extra weight or thickness. Touch Cover: A 3mm keyboard interface using a unique pressure-sensing technology that senses keystrokes as gestures, helping you type faster than on an on-screen keyboard. Touch Covers will be available in various colors. The touch covers attach to the Surface through a built-in magnetic connector and also doubles up as a protective cover. Above and below are pictures of the devices from the Surface gallery on the Microsoft website. Asus and Nvidia today unveiled the world’s first Windows RT consumer device at a press conference led by ASUS Chairman Johnny Shih. The ASUS Windows RT tablet is a 10.1-inch convertible tablet with an optional keyboard dock, powered by NVIDIA’s Tegra 3 quad-core mobile processor. 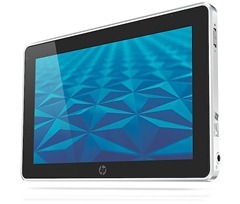 Consumers want a touch-friendly, mobile device with extremely long battery life. 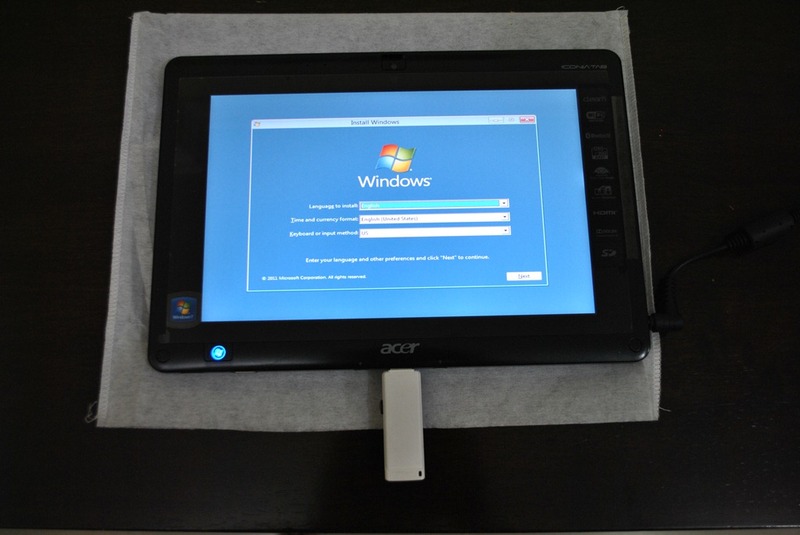 Tegra-powered Windows RT devices like ASUS’s Windows RT tablet will be thin and light, silent with no fan, and able to deliver great performance with true multi-tasking). Plus, they’ll offer days of battery life. 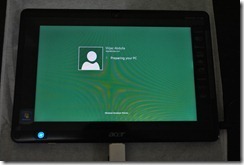 Acer has also unveiled the Acer Aspire S7 touchscreen ultrabook, the Acer Iconia W510 slate, a swiveling all-in-one, all running Windows 8 at Computex Taipei . 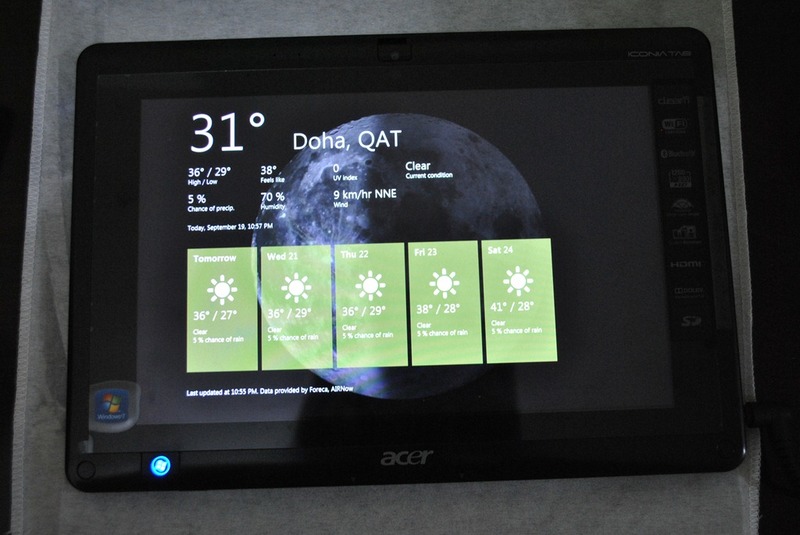 MSI introduced the Slider S20 running Windows 8.
Credit goes to fellow techie Ahmed Ali Ibrahim of Qatar for his inputs. 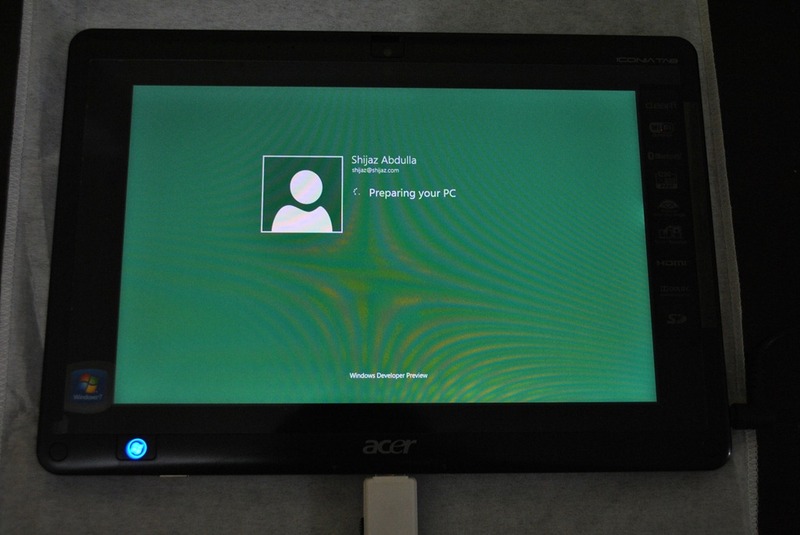 Here’s how we installed Windows 8 Developer Preview on an Acer Iconia tab W500. Extract the 32-bit Windows 8 Developer Preview ISO and copy the files to a USB thumb drive. Connect a USB keyboard to the tablet. Press and hold down the Windows button and the Power button, when the machine starts, press F2. 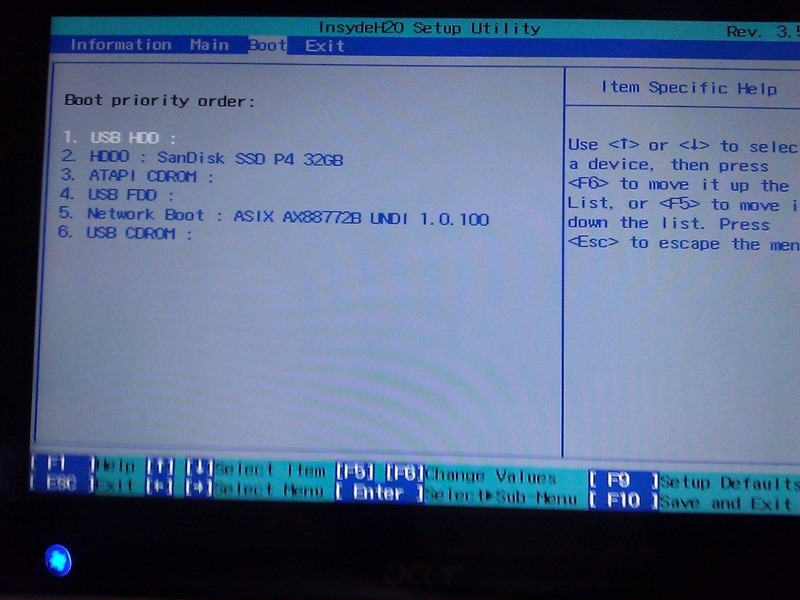 This will display the BIOS setup. 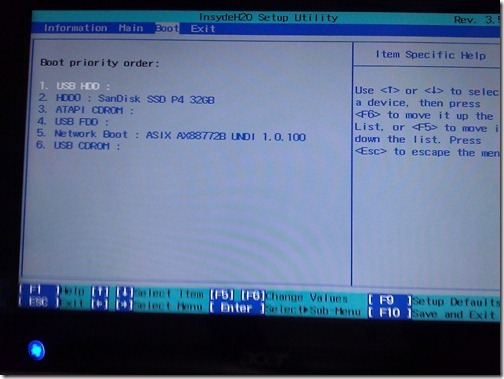 Change the boot order to boot from the USB HDD. Save changes and exit BIOS setup, plug in the USB thumb drive, and restart the computer. You can disconnect the keyboard at this point. 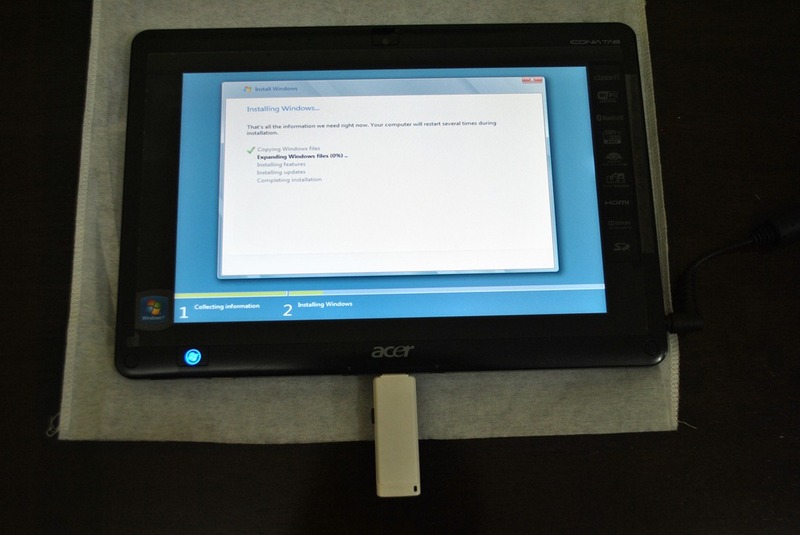 The computer boots into Windows 8 setup from the USB drive. 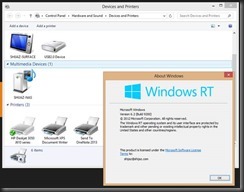 Windows 8 automatically installs all the drivers, except for the Bluetooth and the G-Sensor. 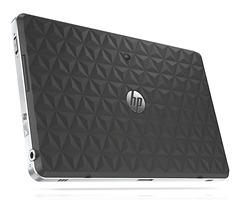 You can download these drivers from the Acer website. 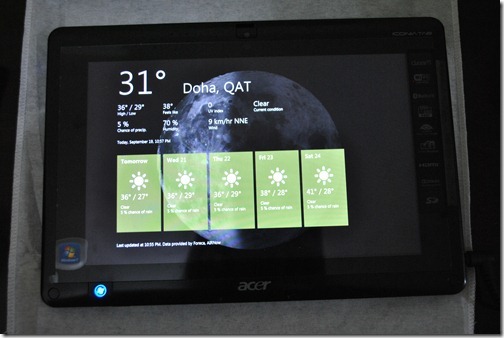 You also need to download the “Device Control” application from the Acer website (it is listed under applications). 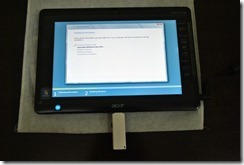 The screen rotation will not work both the G-Sensor driver and the Device Control application are not installed. 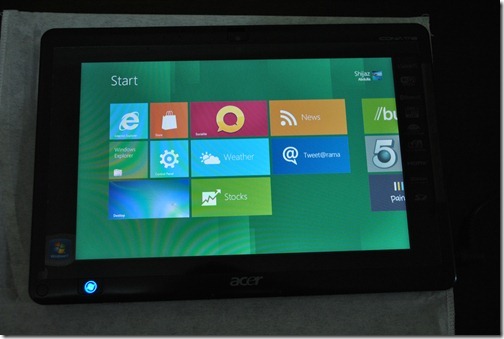 If you had installed the 64-bit version of Windows 8 Developer Preview, the G-sensor will not work as the driver on the Acer website is only for 32-bit versions of Windows.